“I’m from Taiwan who came to Genting Highlands casino for my holiday. My wife, son and daughter are waiting for me there because I ran out of money. 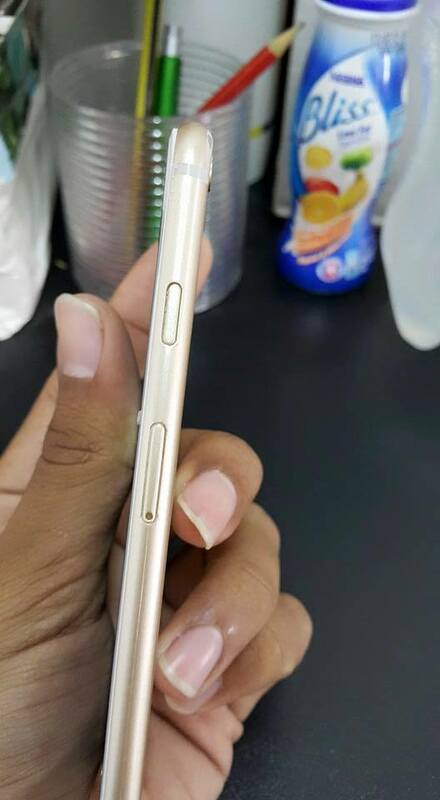 So I want to sell my iPhone 6 for RM 800 (~USD 215)”. He showed Ide Idan Idang his family photos to prove that he was telling the truth. At that point, Ide Idan Idang recalled how he was once approached by a Singaporean Chinese guy at the Putrajaya Immigration office with the same story. But he decided not to purchase the phone because that guy had a suspicious attitude. He moved on but less than a minute later, regretted his decision and went looking for the Singaporea. However, the guy was nowhere to be found. This time, he decided he should not miss this second opportunity. 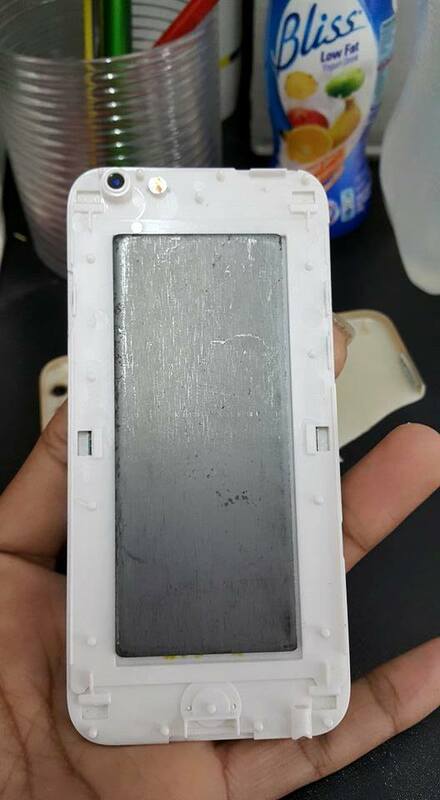 He checked the iPhone 6 and it seemed genuine. 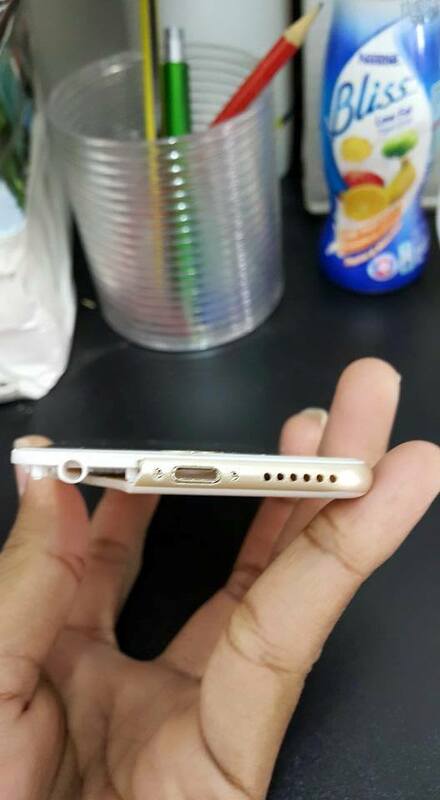 The Taiwanese man informed him that he would include the charger with the iPhone 6, but he didn’t have the earphones. After he was satisfied that the iPhone 6 was the real deal, he told the guy he would accept his offer. After Ide Idan Idang withdrew the money from an ATM, the guy insisted that they do the trade near an exit. That made Ide Idan Idang suspicious so he inspected the iPhone 6 again. It seemed genuine so he started to count out the money for the Taiwanese guy. 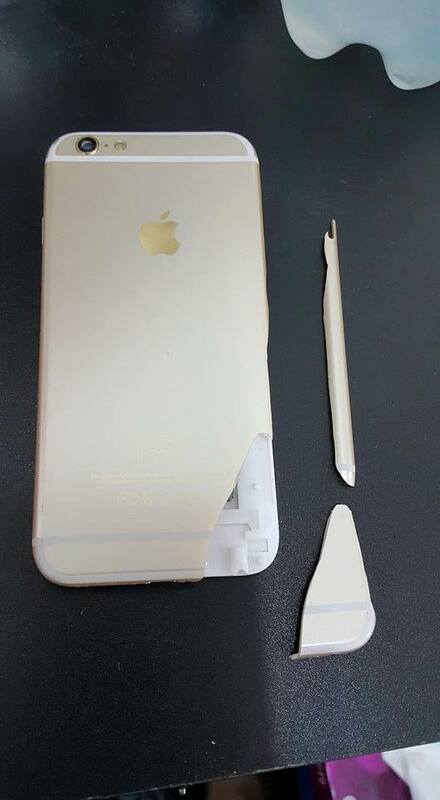 Somehow during that time, that guy managed to switch the real iPhone 6 for a dummy set without him noticing. Once he handed over the money, the Taiwanese guy gave him the iPhone 6 (which he did not realise was already swapped with a fake iPhone 6) and told him to keep it in his pocket because they were being watched by a CCTV camera. Then he quickly left. For some reason, Ide Idan Idang still felt suspicious about the whole deal and tailed him. However, the Taiwanese guy ran really quickly and he soon lost sight of him. It was possible he might have a friend waiting for him in a car nearby. Anyway, Ide Idan Idang shrugged it off and found a place to sit down so he could set up his newly-purchased iPhone 6. However, when he tried to power it on, nothing happened. When he peeked at the charging port, he realised that it looked like it was just a toy. Ide Idan Idang got fooled because he let greed get the better of him. RM 800 (~USD 215) for the iPhone 6 that costs a minimum of RM 2,702 (~USD 720)? Why on Earth would anyone offer you such a great deal unless it was stolen from someone else, or like in this case, a fake? Either reason is reason enough NOT to purchase anything from shady characters with sob stories. As the smarter folks on the Internet will keep telling everyone else – If it’s too good to be true, it really is too good to be true! If you are ever approached to buy a smartphone, watch, computer, gold bangles, diamond rings, etc, just WALK AWAY. Even better, take a photo of the scammer and report him/her to the police! 9/7/2015 Khamis-semasa sy sdg membeli belah di Tesco Rawang, sy didatangi seorang malaun yg mengatakan “sy dr Taiwan dtg Genting Highland holiday casino, sy wife son daughter tunggu sana, sy no money la, sy mau jual iphone 6 rm800”. Dye siap tunjuk gambar dgn family dia lagi. Dulu pun mase sy di Imigresen Putrajaya sy pernah didatangi dgn cina dr Singapore yg mengatakan ayat yg sama. Tpi sy x jd beli sbb gaya dia mcm huru hara sgt seperti ade sesuatu. Dan sy syak dye ni mesti sindiket, kwn sy ckp xyah beli la dan sy pun beredar. Tapi x sampai 1 minit sy pergi cari dia balik dan dgn sekelip mata dye dah hilang. So mmg dah pasti ade sesuatu. Sambung cerita di Tesco Rawang td, sy membelek la iPhone tersebut dan mmg ternyata ianya original, dye ckp charger saje die ade earphone xde. Dan sy fikir dulu masa di Putrajaya sy ckp xde rezeki kot nk beli iPhone 6, dan ini mungkin peluang kedua so, slps puas membelek, sy bersetuju nk beli dan sy suruh dye ikut sy ke ATM. Selepas sy mengeluarkan duit rm800 dye mengajak sy utk ke tmpt lain pula yg dekat dgn pintu keluar, tapi sy rase x puas hati dan membelek lg iPhone 6 tu..dan bila sampai dkt dgn pintu keluar sy pun mengira duit utk bg dkt dye, dan pd mase ini la dye dgn licik menukarkn iPhone 6 tu dgn iPhone 6 display set. Setelah sy bg dye duit tu n sy da dpt fon tu dye ckp simpan poket sini ada cctv. Dan dye berlalu pergi, tapi sy rase x puas hati lg, sy mengekori dye dan ternyata laju sungguh dye berlari walaupun badan dye besar camtu. Dgn sekelip mata dye hilang dr pandangan. Sy syak mesti ade kwn dye yg naik kereta dan tgu dye tu. Sy pun ckp xpelah..nkgi dduk2 kjap nk setting2 iPhone 6 yg baru beli ni…bile dduk je sy tekan power button tpi x hidup..sy fikir knp x hidup ni..bile sy tgk dekat lubang charger..kosong xde ape mcm mainan je..sekian saja cerita sy..